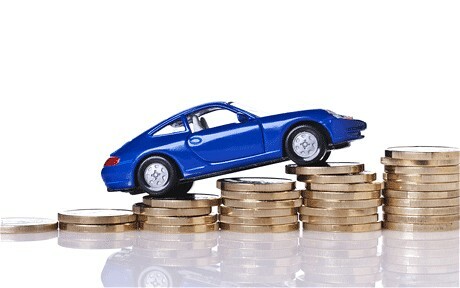 If you are buying a new car you will automatically get a car warranty cover. You'll not always get one with a used car; however, you can get a car warranty afterwards. Car warranties cover this that and the other but what exactly are these warranties, what do they cover and how long are they good for? A car warranty (may be you've heard 'mechanical breakdown insurance') is basically an insurance policy which covers you against the cost of parts and labour following mechanical or electrical failure of your vehicle. Car warranty policies usually run between 1 and 12 months and you can choose to have them renewed automatically. Remember to make sure you read the fine print of the warranty policy that you're going to buy. Just walk away if they refuse to show you the contract before you buy. Reputable companies usually allow policy cancellation, however, some cannot. As a standard you have 30 days to cancel a policy after its start and get a full refund. After that initial 30-day period you may be offered a pro-rata refund. They may also charge you a cancellation fee. Most major companies have their own repair shops, others will offer the option to repair at any facility and reimburse the costs. If they have their own repair shop, check how far it is located. Some car warranty policies expire when your odometer reaches a certain mileage, while others expire 'in addition' to your odometer mileage at the start of the policy. This tiny detail may do a substantial difference so make sure you know what type of car warranty you are buying. Some companies will pay the repair shop directly; others will refer you to their own repair shop. Alternatively, they may ask you to pay the repair shop yourself then submit a claim to be reimbursed. To make your life easier, we recommend -- get one that pays the repair shop directly. A basic bumper to bumper warranty covers everything aside from surface rust and those parts subjected to wear and tear. These parts include hoses, belts, window wipers and oil. Tiers and batteries are also not included as these are usually covered by separate warranties. The term of a basic warranty depends on the model and make of the car but typical basic warranties last between 4 to 6 years or up to 60,000 miles. The drivetrain warranty covers everything that your car needs to run aside from parts that are effected by wear and tear. The drivetrain covers the engine, driveshaft, transmission and drive axles of the car so if there was ever a problem with any of these parts within the warranty time frame, they will fix them for you for free. These warranties are usually good for between one to two years or up to 36,000 miles. The rust or corrosion warranty covers rust through problems only so if your car has a little bit of surface rust, this will not be covered in your warranty. The rust or corrosion warranty usually lasts for around four to six years similar to the basic warranty. Roadside assistance warranties are basically the same as breakdown cover from well known companies such as The AA and RAC. This warranty enables customers to call their manufacturers if they are stranded due to a technical fault with the car. Like Breakdown cover, this includes free towing, rental car if they are unable to fix it on the spot and assistance for common motoring problems such as flat tyres, running out of petrol or stupidly locking yourself out of your car which we have all done at least once within our lifetimes. You can find details on your warranty coverage within your motors owner's manual or subsequent warranty book. Some companies even offer secret warranties not advertised to the public to tackle common problems found with their cars but these are only offered on a case by case basis. If motor manufacturers advertised their secret warranties it would look to the public that they know there will be future problems with the car, which is not something you look for when buying a new motor. If you see the benefit of these warranties and wish to extend the life of the policy you may want to look into purchasing an extended warranty.